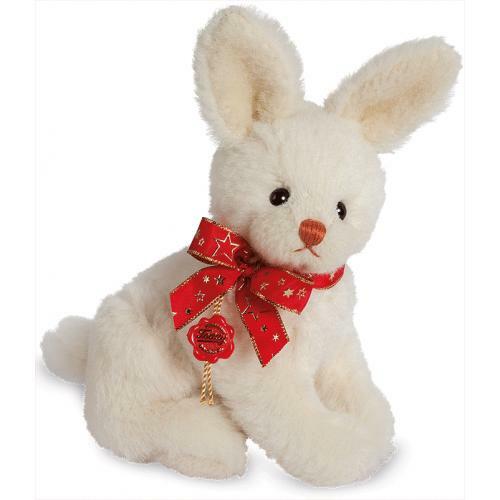 Teddy Hermann Arctic Hare, single jointed and made of the finest cream alpaca. 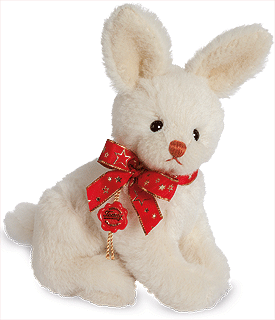 Product details: Item number 156437, safety eyes, synthetic filling material, non growler, Surface washable only, 16cm Front paw to ear. 15cm Front paw to tail.